If you like this dish, sign up for our newsletter to get tasty, cultural inspiration straight to your inbox. Where will you travel this week? 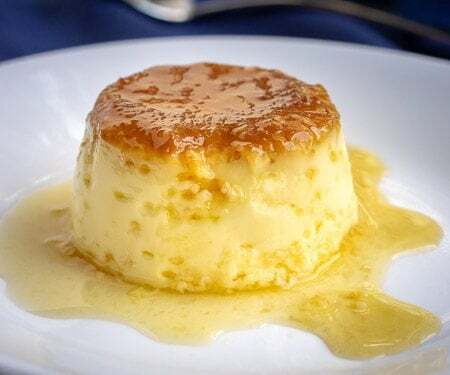 Spanish Flan is a creamy, baked egg custard dessert that is widely popular in Spain and in other areas around the world as well. It is an easy dessert to make, impressive to serve to guests, and it can be made ahead of time. 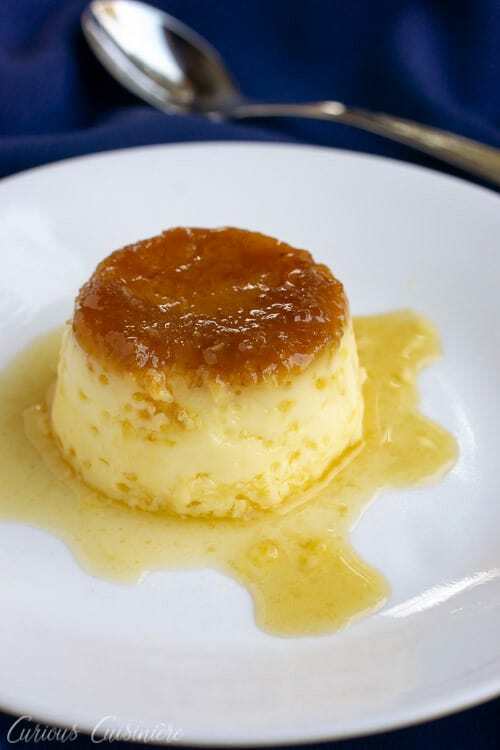 And, while Spanish egg flan is creamy, caramely, and delicious all on its own, it is wonderful when paired with a particular dessert wine from the Navarra region of Spain! What is Spanish Egg Flan? Flan is an egg custard that originates from Spain. It has a characteristic deep golden, caramel top and a caramel sauce that cascades down the sides of the pale and creamy custard. Now, there are many different types of egg custard, all around the world. But, it could be said that Spanish flan is where they all started. Flan can be dated all the way back to Ancient Rome. The Romans were known for their creation of egg dishes, possibly because they were the first people to domesticate chickens for their eggs. In Rome, you would be able to find both sweet and savory (cheese, spinach, seafood) flans being enjoyed. As the recipe for flan spread across Europe, it took on new characteristics in each country. England created flan that was baked in a pastry shell or crust. 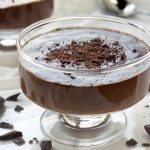 In France, often chocolate was added to flan to become the pots de creme that we know today. 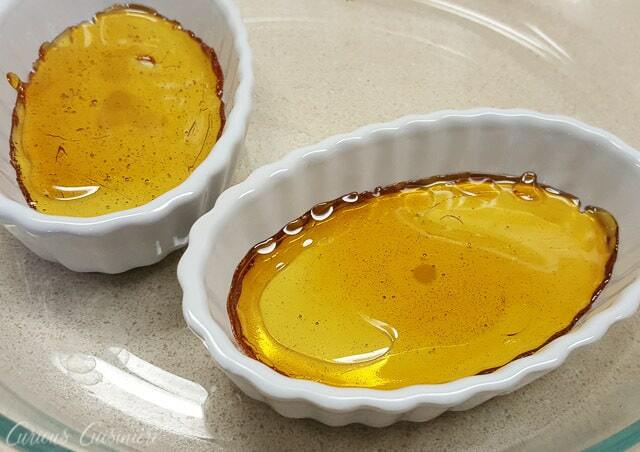 Caramelized sugar became a signature ingredient in Spanish flan. 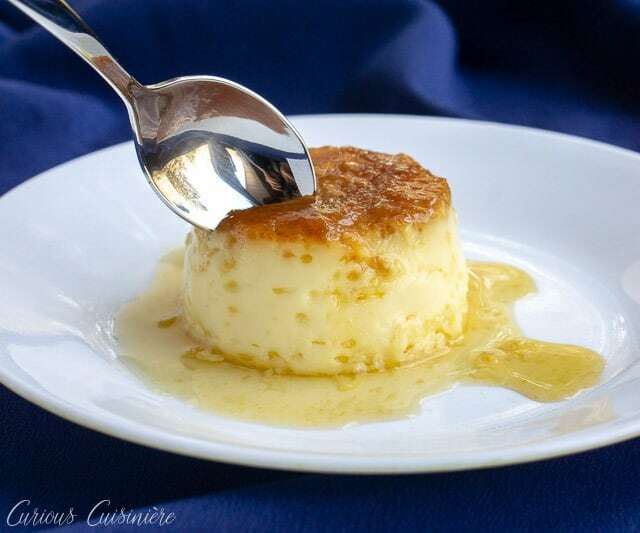 When the Moors occupied Spain, they brought the use of citrus and almonds to flan, and those flavorings are still common for Spanish flan today. 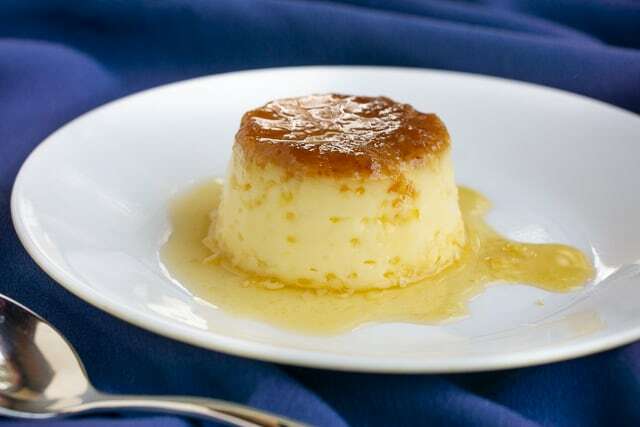 When Spaniards came to the New World, they brought their recipes for flan with them, which is why Spanish flan is such a common dessert in Latin America. There, you will find the traditional egg or citrus flan, but also other variations using local ingredients, like coconuts. What Are The Ingredients In Flan? 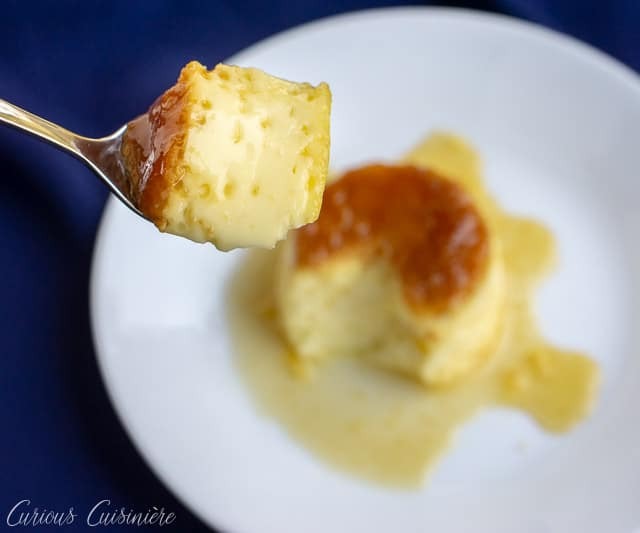 While flan looks and tastes like an elegant dish that would be difficult to prepare, it is really quite simple and made up of very basic ingredients. From this base, you can get more complicated by adding flavorings to your milk, like lemon or cinnamon. Or, you can substitute other liquids for the milk (like orange juice or coconut milk) to change the flavor even more drastically. But, at its most basic, these three ingredients are all you need to make an impressive and delicious flan. The hardest part about making Spanish flan is getting the caramel topping just right. The impressive, golden crown that sits atop every well-made Spanish flan starts as caramelized sugar in the bottom of the flan dish. When you invert the dish after baking, the caramelized sugars release from the dish and give you the beautiful, characteristic top. Any time you work with sugar, you have to take some special care and attention. And, this case is no exception. The tricky part here is that as you heat your sugar, it gets very finicky about temperature changes. As you pour the golden caramelized sugar syrup from the hot pan into the cool molds, it hardens rapidly. So, we recommend that you have your molds set and ready. When your sugar starts to turn a golden brown, it will darken quickly, and you need to act fast to get your liquid caramel to coat the bottom of your cups before it turns into hard caramel candy. Don’t worry if the caramelized sugars harden in the mold, the moisture of the baking process will soften them into the perfect caramel consistency for your finished flan. While there are many variations you could take on flan, we decided to go with the most simple version here. You have to master the basics in order to know where you can go! But, the nice thing about this recipe is that it is so basic. With so few ingredients, you don’t have to be intimidated about trying your hand at making flan. And, once you get the basic version down, you can start to play around with different flavorings to really make the flan your own. And don’t worry, just because this flan is basic doesn’t mean it’s lacking in flavor. This flan is super creamy, with a perfect balanced sweetness, and a nice depth from the caramelized sugars. Who would think simplicity could taste so good? What Containers Should I Use For Individual Flan? Our recipe makes eight individual flan. These are perfect for plating and serving as an elegant dessert at a dinner party! Can I Make Flan Ahead? Actually, it’s best if you do make your flan ahead. Flan needs to be completely cooled in order to turn out of its mold. And, the flan will take 1-2 hours to cool completely. So, when making your flan, be sure to plan ahead for the baking time (1 hour) and cooling time (2 hours, just to be sure). If you really like to prepare ahead, your flan can be made up to 2 days ahead of time. When you are ready to serve your flan, invert it onto a plate and enjoy! 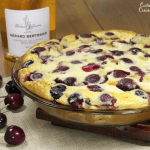 While this flan is incredibly delicious on its own, we found a sweet Spanish wine from the Navarra region of Spain that is the perfect pairing for our basic flan. 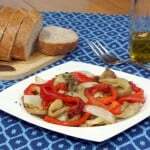 Navarra is a region in the north-central part of Spain, near France. This region is most well known for its capital, Pamplona, where the running of the bulls takes place every year. But this region is so much more than that once-a-year party. Bordered by the Pyrenees mountains on the north and the Bardenas Reales desert on the south, it is a fascinating region with much natural beauty. It is also a treasure trove for fresh produce and, of course, wine! We were fortunate enough to receive some samples of wine from Navarra, and the wine we paired with our flan was the Caprichio D’Goya from Bodegas Camilo Castilla Winery. This wine is made up of 100% small grain muscat grapes, which is a grape variety that we are not too familiar with, so we were quite surprised by its deep color. The wine is aged over 7 years in oak and glass, which gives it incredibly deep flavors and a hint of caramely and toasty notes. We noticed a lot of deep, dark, dried fruit, like prune, on the nose of this wine. And as we took our first sip, we were met with a complex array of flavors of dark dried fruit, particularly fig and more prune. We found the wine to be a bit similar in style to a Maidera, but more smooth and sweeter than the Madiera wines we have tried. Honestly, this wine surprised us both in a very good way. 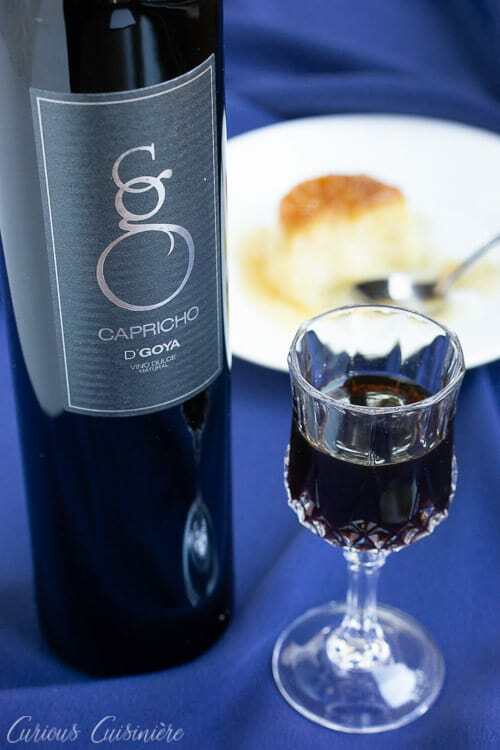 We’re typically not the first to reach for a bottle of sweet wine to go with dessert, but this Capricho D’Goya has so much unique flavor to balance out the sweet, richness, we both would have been perfectly content sipping this wine AS our dessert! But there was flan to pair with! And while both the wine and flan were delicious on their own, the pairing was one of our favorites yet. The simplicity and light flavors of the flan was the perfect complement to the deep, dark flavors of the wine. 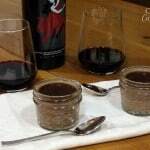 The toasted flavors from the caramelized sugar on the flan, mingled with toasty hints of flavor in the wine. You could seriously get lost moving back and forth between the two. Deep sweetness, light sweetness. Deep toasted notes, light toasted caramel. Who needs a meal? Just bring on the flan and Capricho d’Goya! 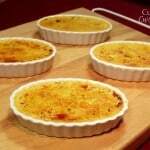 Spanish Flan is a creamy, baked egg custard dessert that is widely popular in Spain and in other areas around the world as well. It is an easy dessert to make, impressive to serve to guests, and it can be made ahead of time! In a small saucepan, mix the sugar and water together until all the sugar is moistened. In a large liquid measuring cup, beat the eggs, egg yolk, sugar, and salt together until light and foamy. Pour the milk into the egg mixture, whisking until evenly blended. Pour this custard mixture into the caramel-coated ramekins. Set the ramekins, not touching, in a large baking dish. Create a water bath by pouring hot water into the baking dish, so that it comes about ¾ of the way up the sides of the ramekins. 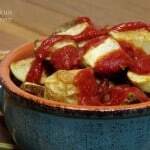 Place the baking dish in the oven and bake for 60 minutes. Test the custards to be sure they are set by sliding a thin knife into the center of one. Once the flan are completely cool (and you are ready to serve them), run a butter knife around the inside of each ramekin to loosen the edges of the custard. Invert the ramekin onto a small plate and carefully lift the ramekin off of the custard. Watch the caramel sauce run down the sides of the flan, and enjoy! *If you are making your flan ahead of time, you can cover them and store them in the refrigerator once they are completely cooled. Invert the flan onto plates, when you are ready to serve them. 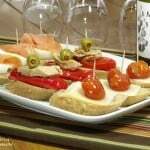 If you enjoyed this dish and want to dive even further into the wines of Navarra, Spain, join the rest of the #WinePW crew for a wonderful selection of wines from Navarra and the dishes they chose to pair with them. 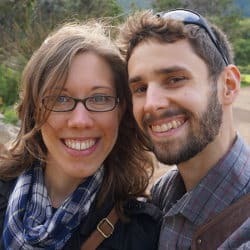 interesting background on a tasty dessert. The wine sounds like perfect pairing! It really was! Thanks David! You are so lucky to have received that wine – how cool! 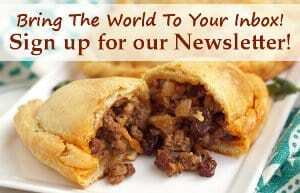 When I took Spanish classes ages ago I became fascinated with flan and Mexican fried ice cream. I remember thinking about sweets when I should have been focused on conjugation! My mom often makes flan during the holidays — I think I’m going to have to search out this wine to pair next time! You guys will really enjoy it! Doesn’t it! 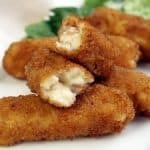 At first we weren’t sure, but when you think about cheese and greens, there really could be something interesting there! Love this pairing! Back in the fall I tried a white muscat a petits grains from Navarra, and really enjoyed the fresh, fruity flavors. This wine sounds great as well – perfect with the traditional Spanish flan. That sounds like a delicious wine! Ok, you’ve convinced me. This is a pairing that I definitely want to try. You really should! I think you would enjoy it!